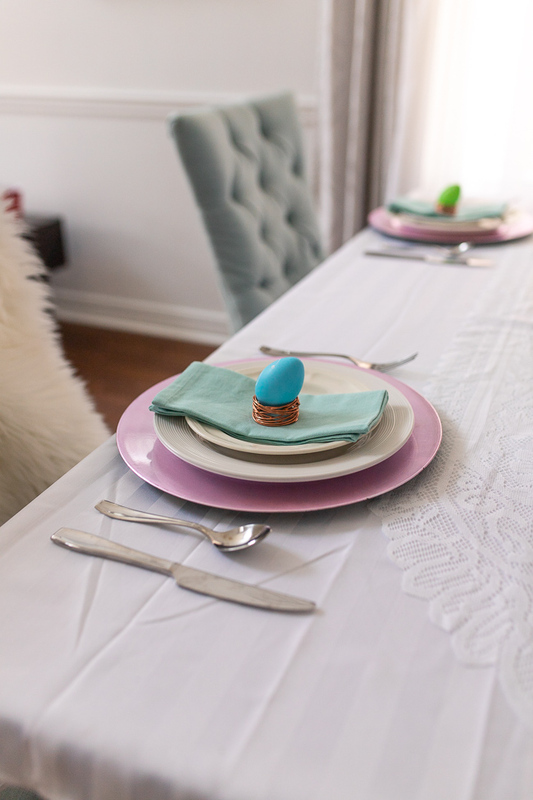 3 Easy DIY Easter Table setting ideas, You’ll Love! 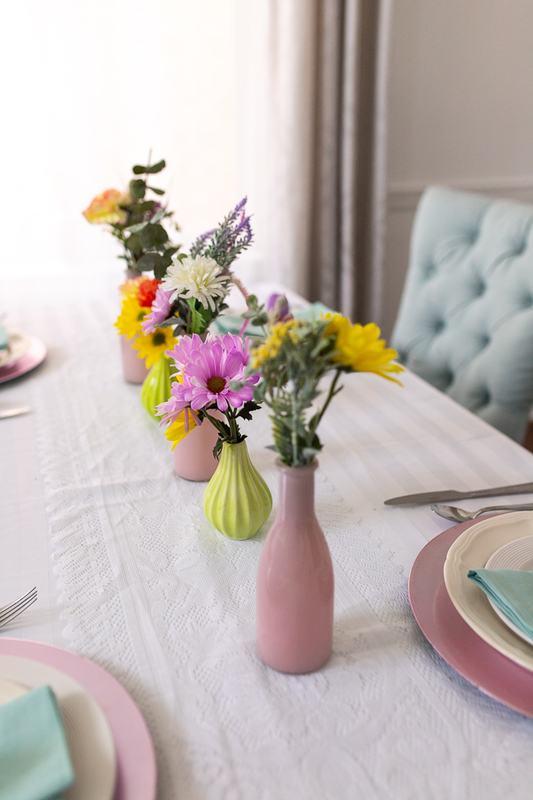 3 Easy DIY Easter Table Setting Ideas You’ll Love! 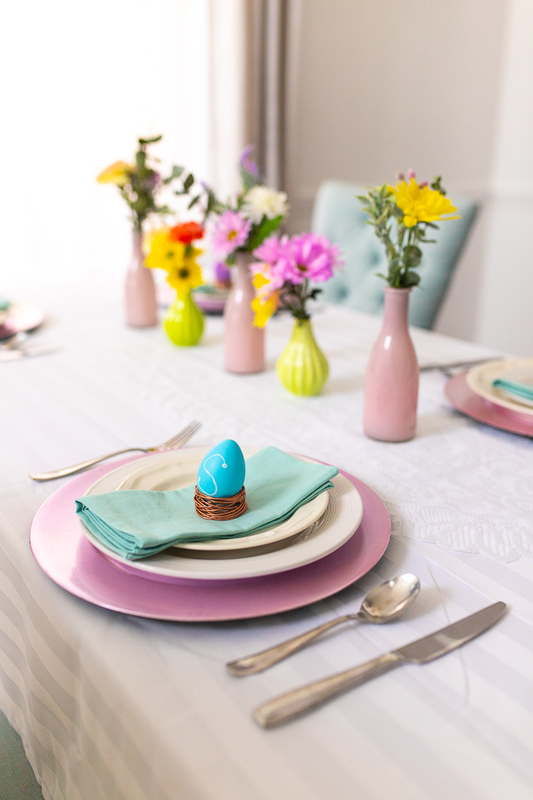 Looking for easy DIY Easter table setting ideas? You have come to the right place! Easter is a great time to celebrate with family and friends especially over tasty food. For me Easter also means more than beautiful decor, it means new life, sacrifice and resurrection. 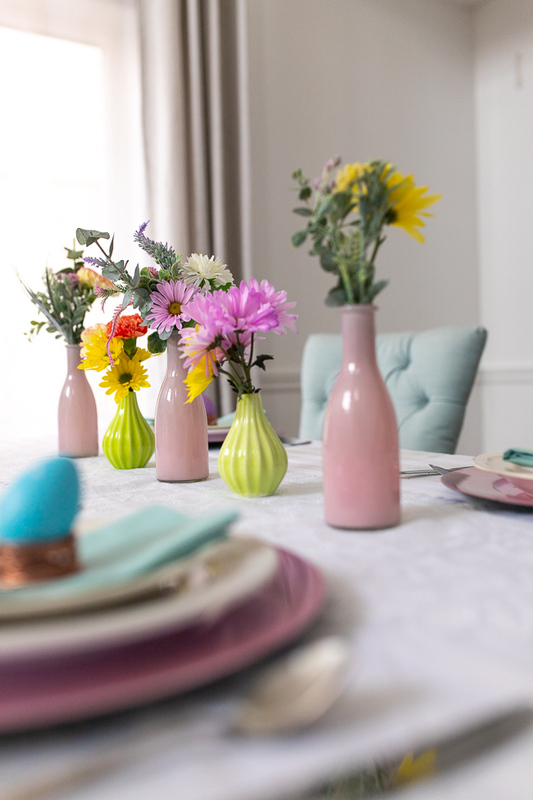 If you are hosting some Easter events and want to get into the festive season here are 3 easy DIY Easter table setting ideas you’ll love! 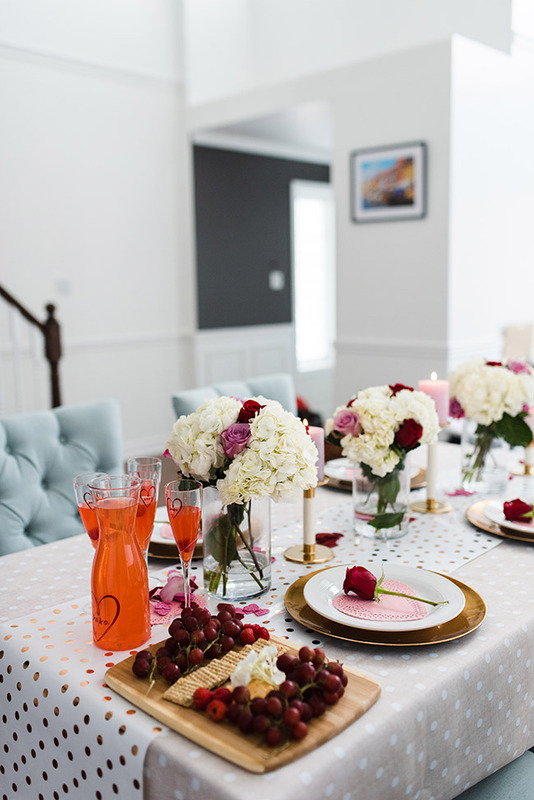 These ideas are perfect for spring table settings too. Accessorize with and use Easter eggs to help add some glam to your table. Here, I used chalkboard eggs to make these simple place settings for each guest. I used napkin holders that looked like bird nests that went perfectly with the decor. I love pastels especially pink and blue/ greenish tones. 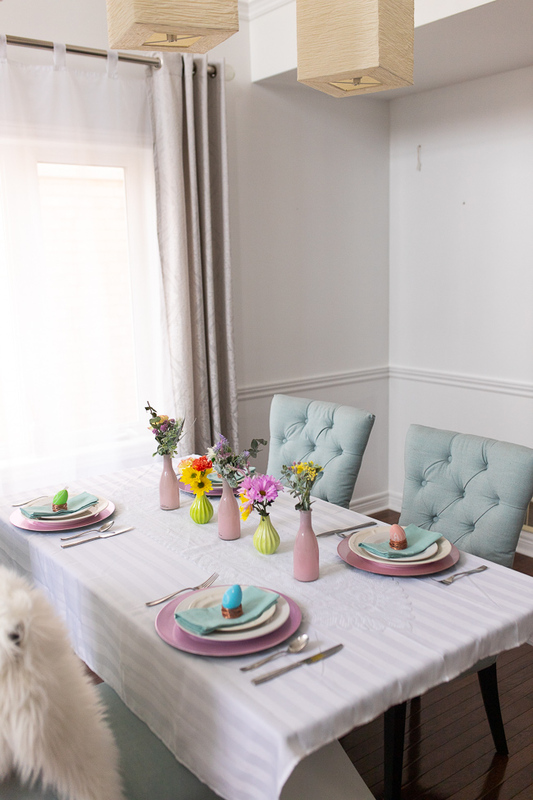 I used pink throughout the table with the chargers, Easter eggs and fresh flowers to add some color. I then used pastel teal for the napkins that matched the dinning chairs to pull the whole look together. The charger plates were purchased at Walmart and where a good deal at $2.00 a charger. Easter symbolizes new life and what better way to incorporate that into your table than with greenery, fresh and faux flowers. A trick I love doing is mixing fresh and faux flowers. The fresh flowers were a inexpensive buy at Walmart and the faux flowers were from Dollar Tree. 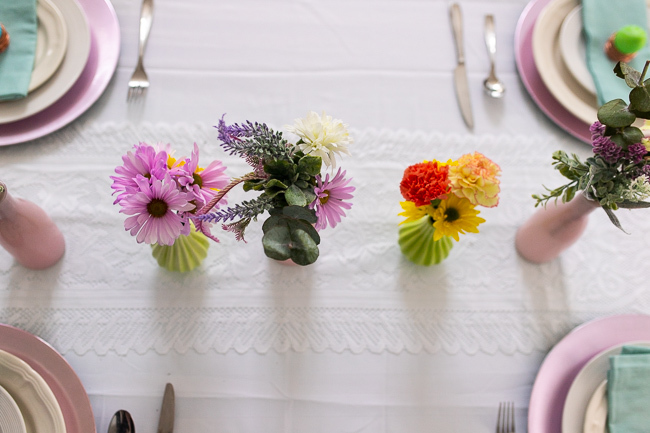 Hope you gained some wonderful spring and Easter table setting inspiration. 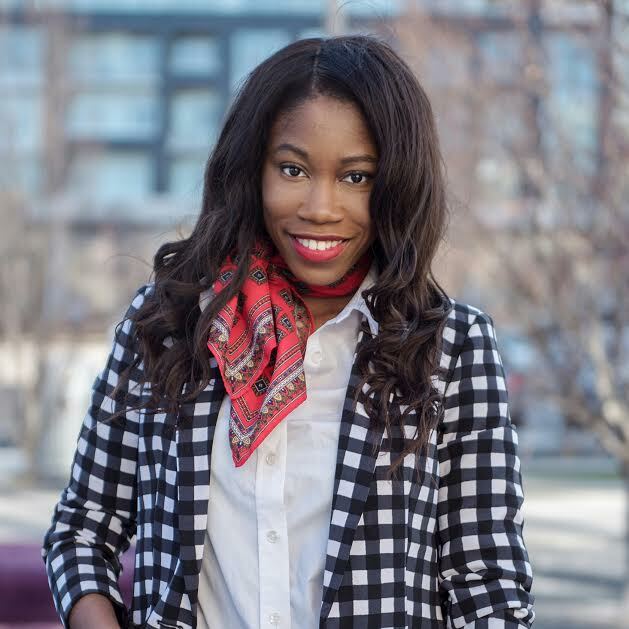 Are you hosting for Easter? Loving this table setting idea and would love more Easter/spring table setting ideas/inspiration?